New Courses Online’s AWS Online Training is designed by industry experts according to the IT industry trends and requirements. We intend to lead students to learn AWS concepts which helps them to take and pass the AWS CSA – Associate examination.This training course from New Courses Online will help you gain expertise in IAM, EBS, ELB, CDN, S3, VPC, EC2, EIP, KMS, Route 53, RDS, Glacier, Snowball, Cloudfront, Dynamo DB, Redshift, Auto Scaling, CloudWatch, Elastic Cache, Cloud Trail, and finally Security aspects of AWS. AWS Certified Solution Architect – Associate has become one of the highly valued certifications in the IT industry. AWS as a cloud computing solutions service has quickly become the standard form of cloud computing and is here to stay so in the long run. The AWS Online Training Course from New Courses Online is aimed at helping students to gain knowledge in detail about the architectural principles and solutions of the AWS cloud services.Amazon’s web services are challenging the tech giants of the category. This AWS course taught by expert trainers from new Courses Online intends in helping you gain an in-depth knowledge of the AWS architectural concepts and solutions, and to make you fully capable of attempting and clearing the AWS CSA – Associate certification exam. Supporting all the hype that AWS created in the industry, AWS experts at various levels are also being paid high salaries. How is the AWS course from New Courses Online beneficial to you? AWS is the leading technology in the current IT market compared to all the cloud computing platforms made available by other tech giants of the industry. From a web developer to IoT developer, Big data analyst to system admin, AWS has a service to provide solution for all of them. AWS experts at various levels are also being paid high salaries. AWS offers 3 levels of certification, which further has sub levels to get certified about. AWS Solutions Architect Associate, which this course is about, is the most common approach to start your learning of the AWS ecosystem with and get certified as an AWS Associate. What are skills you gain from AWS Online Training Course? 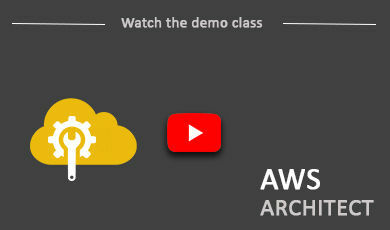 Master the foundation concepts of AWS architecture and EC2. Design, host, and operate a highly scalable, cost effective, fault tolerant and secure applications using AWS. Identify the appropriate AWS service to use based on the available data and requirements of network and security of the system. Suggest best practices of using the applicable services of AWS to your employer. Gain recognition with your team and visibility with your employer by showcasing your skills of Amazon web Services. Get exam-ready for the Amazon Web services CSA certification. Professionals who are working as a developer: web developers, IoT developer, AI developer or anything of the like. Professionals with experience as Data Analysts. Professionals working as database admin or system admin. Professionals working on DevOps technologies. New Courses Online doesn’t have a set of requirements for its students to enroll into this course. No prior programming experience will be necessary to learn to undergo amazon web services training, but if the student already has knowledge of a high-level programming language like C, it would be helpful in the procedures of learning. New Courses Online recommends students to have a PC/Laptop with Windows or Linux OS with a minimum of 4GB RAM, processor of i3 or higher or a Mac OS PC/Laptop. Students are advised to have preferred server configuration, the details of which will be explained in a step-by-step manner by our trainers once the course commences. Students are recommended to set up an AWS account to execute lab assignments during the period of this training. If the student doesn’t have an account created prior to the start of the course, our course instructors would be readily available to help the students to set up a free tier AWS account. Students will be using the free AWS account to practice and develop the given case studies and assignments in the AWS online training course. Instructors at New Courses Online will hand-hold students to work on Amazon cloud servers and to make use of other services as well. Study launching instances into public and private subnets of the VPC that you have created. Assignment to build your own WordPress site. Assignment to Deploy your application. Configure an RD Gateway on the VPC that you have created with both public and private subnets. To acquire an official CCA and CCP certification by Cloudera, applicants need to enroll themselves for the Cloudera Certified Developer for Apache Hadoop (CCDH) online examination. Only after a registrant passes this examination will he/she be able to receive an expert certification from Cloudera. The training given on AWS course was awesome. The instructor was extraordinary and extremely talented. He was patient with us in dealing with a number of students all from different backgrounds. I took in a great deal about AWS and NCO has kept my interest in high levels with their interactive live sessions. I recommend New Courses Online to anyone who is looking for a great boost to start learning a technology. New Courses Online has excellent trainers and their technical assistance is right on point. Their interactive lessons helped me to learn quickly. The one thing I liked most about New Courses Online was the student learning portal. It helped me a great number of times during the course whenever I was stuck with a lab assignment and for the varied perspective of concepts from other students. I am also planning to take the DevOps course from New Courses Online in a few days. I took the AWS online course from New Courses Online. The classes by the instructors were always fun. For each concept there was a relevant real-time scenario taken as an example. The lab sessions provided good practice and helped me understand industry practices used in top MNCs. I am very satisfied with the trainer’s experience as they helped me a great deal when I had to focus in-depth regarding any concept.